"Autumn Reflections" was taken at North Lake west of Bishop, California at the beginning of October. Around North Lake all of the trees were glowing with their fall colors. I saw this reflection in the water of the rich blue sky, the surrounding colorful shoreline, and the green and yellow leaves of the Aspen trees. 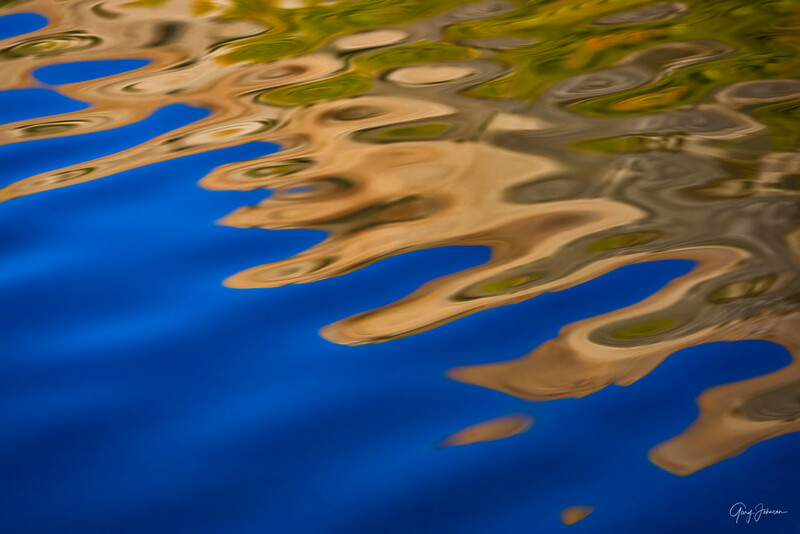 I shot with my telephoto lens and captured many images as the abstract colors danced upon the water. This one was my favorite.